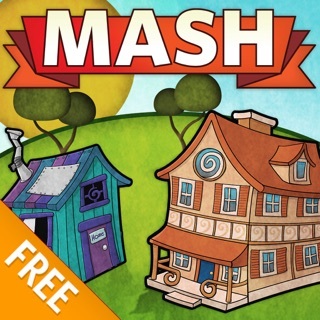 - The Only 2 in 1 MASH Game on the App Store! - Over 16 Million predictions have been made! 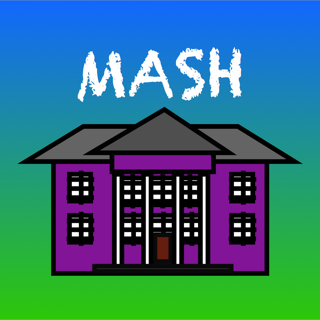 The BEST Mansion, Apartment, Shack, House game available on the App Store. 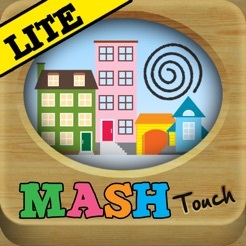 This version let's you try MASH Touch out for free. 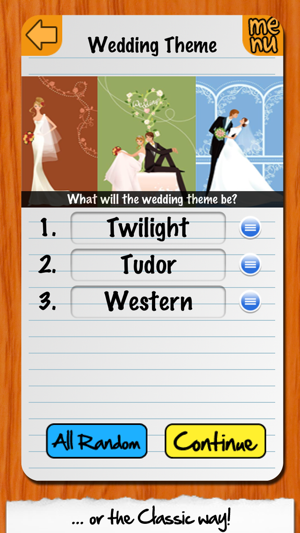 In the full version you can completely customize everything, and it comes with 36 more categories! You can Twitter and Facebook your results too! Check it out! 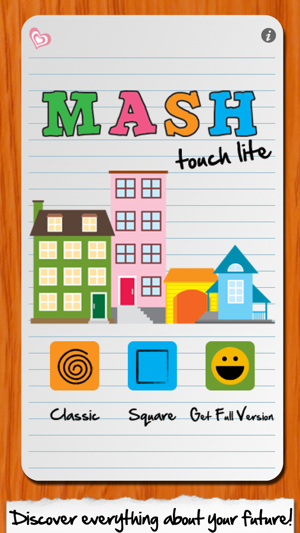 MASH Touch takes the traditional MASH game beyond it's roots. 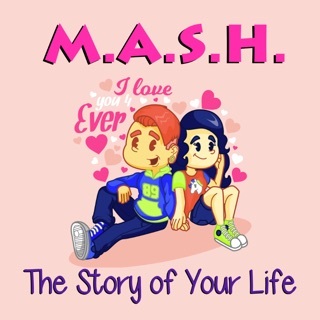 What you won't see in other versions of MASH is the HILARIOUS stories we tell you once your future is predicted. 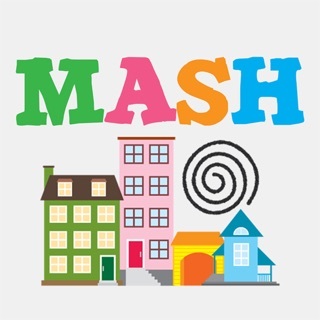 You remember MASH don't you?! 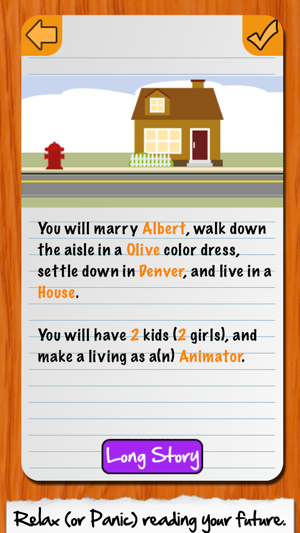 Well, the pencil and paper fortune telling game is back and ready to reveal everything about your future! - View your results as a story! 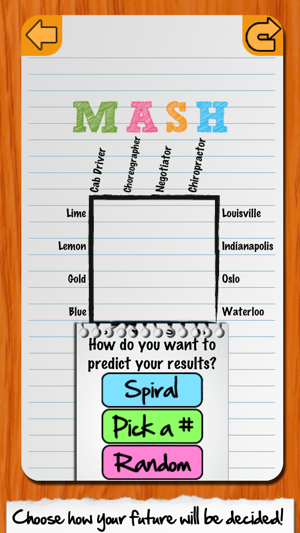 - A total of 44 categories to predict. - Over 1 Trillion possible stories. The application is a fair and moddest one. It tells you in the directions what you get, you get nothing more and nothing less. 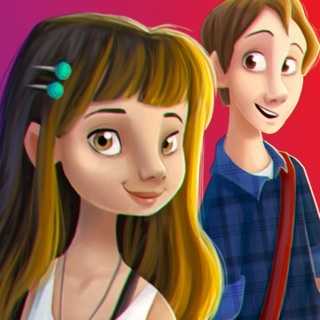 All in all it's a good application with good features and fair updates. The company should fix their newest update because several people have the application crashing. Other then that it should also have more creative features added like a longer detailed story for your results and more pre-made results. I'm not one to complain about this application, but it needs more creativity and pizazz. I'm not saying this application is bile, but a well done update should do the trick. Rated 4 stars for the hard work, updates and for the application's cost; nothing. You will get my 5th star once I see that creativity shine out. I'm only 10 1/2 so I don't know much, but to me even though it isn't true, this is still a really fun game and it makes all your feelings change when you play it. All you do is type stuff in and it gives you a story and you can choose it to be a short story or a long story, whatever you want. I hope you like it but if you don't then I don't mind, it's your opinion. 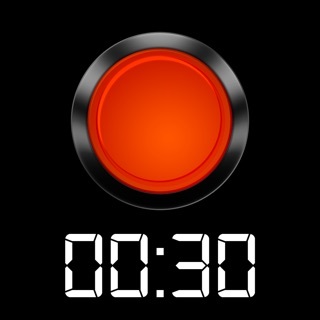 How Long Can You Tap It?